Vote forNewcastle, NSWTop Major Destinations Which are Australia's must-experience spots? You help us decide. This under-the-radar harbour city doubles as New South Wales' second-largest, and is the epitome of urban development coexisting alongside numerous sections of wonderful beachfront. As a result, those who love the beach but want all the modern convenience of a large city will be in their element here, while Newcastle's upcoming culinary scene has also put it on the national 'foodie' map. Couple this with a number of unique attractions both within the city limits and just outside its borders, and you've got a versatile and picturesque getaway destination. Newcastle's idyllic location on the central NSW coast is an obvious drawcard for visitors and has been a large contributing factor towards its increased popularity as a tourist destination. As a result, surfers and those in pursuit of beach relaxation can take advantage of both its clean surrounding waters and the various coastal walks and tracks that showcase this natural beauty. Perhaps its most popular attraction is the Newcastle Memorial Walk that combines stunning coastal views with a well-curated dose of Australian history in commemoration of our ANZAC heroes. Featuring tasteful sculptures and metalwork throughout, the journey allows walkers to take in an excellent panorama over Bar Beach and Newcastle's southern coastline that extends all the way out to neighbouring Lake Macquarie in the distance. The waterfront Merewether Ocean Baths are another example of a unique local attraction that have seen upgrades in recent years. This longtime fixture of the city's waterfront precinct is the largest of its kind in the Southern Hemisphere and serves as an excellent spot for some aquatic refreshment for both adults and kids alike. The baths are somewhat historic, reflective of Newcastle as a whole; this is an old city that is pocketed with delightful examples of historic architecture and several heritage areas that feature a range of Victorian-style houses and cottages. Art also features prevalently here, and visitors to the city will no doubt find a sense of Melbourne-esque charm in sections dedicated to creative street art that add further character to the cityscape. Look outside Newcastle's boundaries and opportunities for exploration open up even further; the surrounding Hunter Region is renowned for its wine production and just a short trip away, while various natural highlights such as the waters of Lake Macquarie, the expansive Stockton Sand Dunes of nearby Port Stephens, and picturesque smaller areas such as Nelson Bay and its lovely Gan Gan Lookout are all within reasonable driving distance. Variety is the name of the game in Newcastle, and its versatility makes for a destination that covers a range of travel interests for young and old alike. Looking to pay a visit to Newcastle but not sure what to do? Here are some of its most essential experiences. What's new in Newcastle in 2016/2017? Newcastle was given recognition as an "Event City" by the International Festivals and Events Association due to its varied events scene. 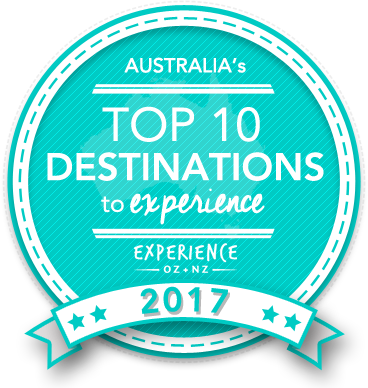 Is Newcastle Australia's Top Major Destination to Experience for 2017? Vote now for the chance to WIN an epic trip to one of Australia's top destinations!